Tonight on The Profit Marcus Lemonis is in Columbus, Indiana with hopes of making a deal with 240sweet. 240sweet is a gourmet marshmallow company that makes their marshmallows by hand and with all natural ingredients. While there, Marcus finds a business arrangement that has gone bad involving the father of one of the owners which could jeopardize their production process. Also an accountant quits, and owners Sam and Alexa don't see eye-to-eye with Marcus. Let's take a look at some information related to 240sweet as well as what kind of deal was made on the show. 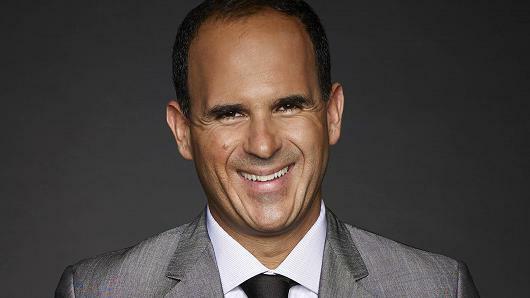 Tonight on The Profit Marcus Lemonis is in Brooklyn, New York with hopes of making a deal with Inkkas. Inkkas is primarily a shoe company that makes their shoes with authentic textiles from South America. While at Inkkas, Marcus finds that the CEO Dan Ben-Nun doesn't know the numbers for his company and has made some bad decisions on product development. Let's take a look at some information related to Inkkas as well as what kind of deal was made on the show. For the past few days on social media, Marcus Lemonis has been teasing an announcement regarding a new show called The Partner. Marcus just did a live announcement regarding The Partner on his Facebook Page (Direct Link to video is here). He stated the show is an opportunity for everyone around the country to apply for the chance to be a partner in every business that has appeared on CNBC's The Profit as well as some other ones. The prize will be for a 3-year employment contract for $150,000 per year and 1% of the total equity of Marcus Lemonis LLC. People need to submit video applications and Marcus will select 6 to 8 people to go through a six-week program. At the end of that, Marcus will select someone to be his partner. The show is scheduled to air during the summer and new episodes of The Profit will continue in the fall. It seems like a show that is similar to NBC's The Apprentice where people would compete for a 1-year $250,000 contract to run one of Donald Trump's companies. I will update this post with more information such as the press release and how to apply once it becomes available. UPDATE - Here is a link to the press release announcing the show. Tonight on The Profit Marcus Lemonis is in Ronkonkoma, NY with hopes of making a deal with Vision Quest Lighting. Vision Quest is a custom-lighting company that is suffering from slumping sales. Marcus finds that there is also a large inventory problem and owner Larry is having a hard time getting rid of the inventory. Larry also has cut a lot of his staff and has borrowed money for the business out of his kid's college fund. Let's take a look at some information related to Vision Quest Lighting as well as what kind of deal was made on the show.